If you are leaving town for a couple of days, for a two week vacation or longer, or (heaven forbid) you need an overnight stay at the hospital, we got you covered. Our overnight accommodations will have your dog living in the “lap” of luxury. 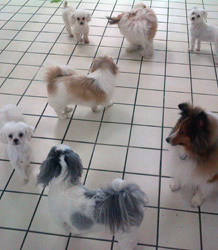 Glamour Paws boarding program provides safe, comfortable surroundings where our experienced staff provides expert care. Glamour Paws is all about giving your dog a fun-filled vacation while you go on one of your own. Whether it’s for overnight or extended stays, you can have peace of mind knowing your dog is having a ball. Our dog guests spend up to 8 hours each day playing in our large dog runs with toys, resting beds, other pooches, and lots of special attention from our staff. Of course all our day care and grooming/washing services and facilities are available to our overnight guests as well! From dawn until dusk, ever day brings new adventures with up to 10 hours of playtime, socializing, outside walks, and loving care. 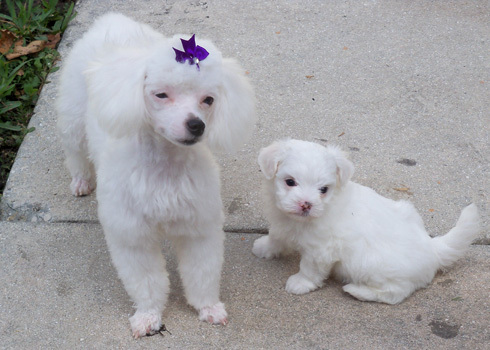 Multiple dogs, same family sharing a suite - $5.00 off per night, for each additional pet. As an added benefit for longer stays, your loved one will receive a free bath at least once every 10 days.